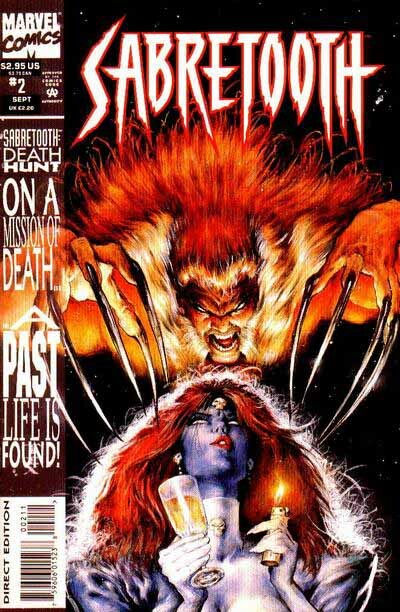 This and all covers and logos ©Marvel Publishing, Inc.
Lots of brand recognition there, but nothing original. And, without the classic webbing, these logos lacked anything that really tied the logo to the character, other than tradition. Marvel staffers began to think about making changes. The main difference from the original logo is the much heavier outline on the letters. I’d also made minor changes in some of the curved shapes, the P, D and R, and given all the corners sharp points. 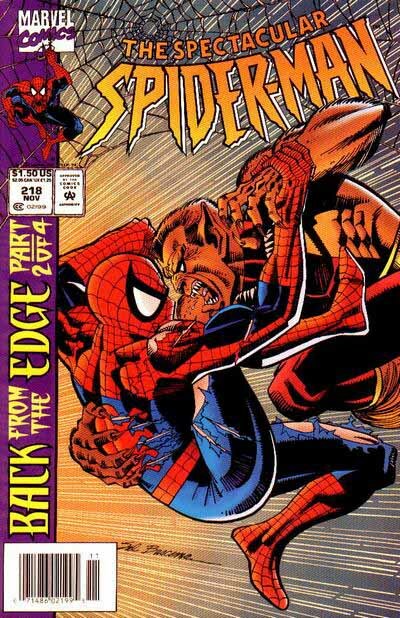 The title add-ons were on a separate piece, with indications of where the corners of SPIDER-MAN should go for each one. It was exactly what they wanted. New, edgy, pointed, dangerous. 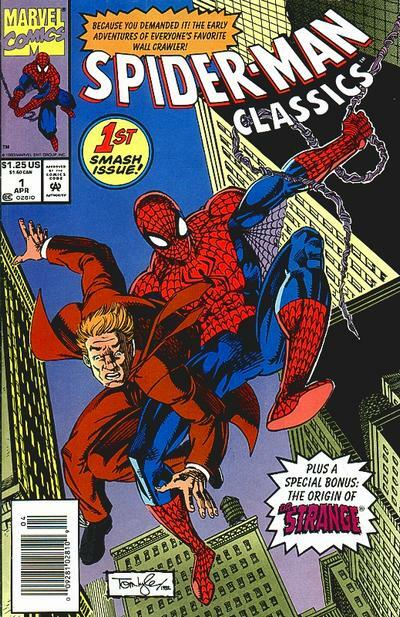 In a short time, this logo was on all the Spider-Man covers across the line, as well as all kind of licensed products. I hadn’t been asked to do anything with the webbing on either of these revamps. 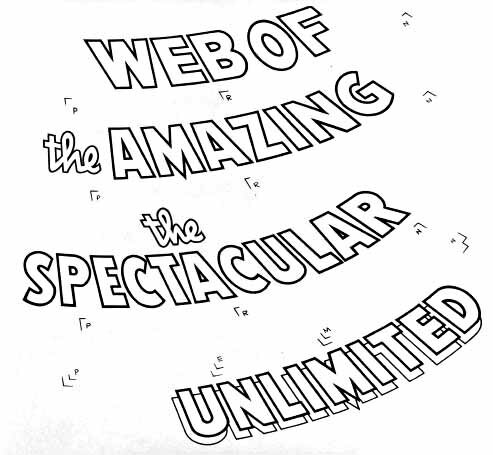 When the new logo debuted on issue 395 of AMAZING, behind it was an attractive new web with a single origin point. Looked quite good to me. 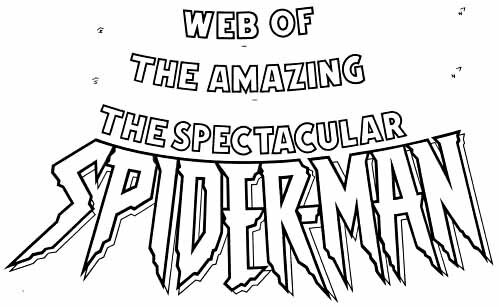 SPECTACULAR had gone from it’s original logo to the traditional Spider-Man one for a while. 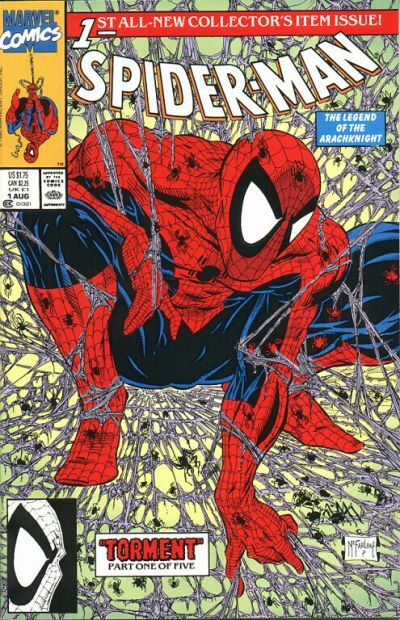 It gained my new logo at the same time as AMAZING, with the same new webbing, as did all the Spider-Man titles, I think. This logo is still the one I see all the time on licensed products, and I’m happy to have been able to design it, even if it took some nudging from an unknown licensee designer. This entry was posted in Logo Studies on March 4, 2008 by Todd. I’m finding these logo studies really fascinating and educating, great stuff! 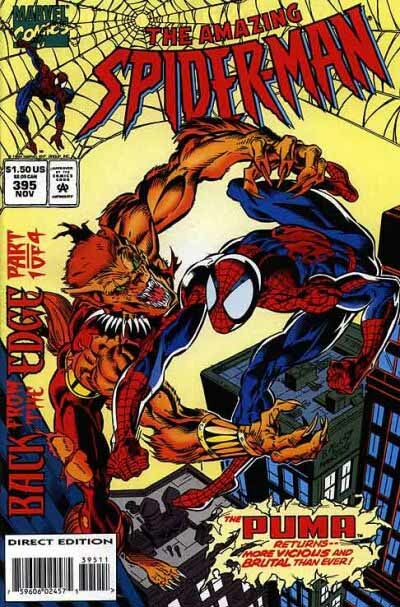 I have to confess, growing up I really didn’t like the 90’s ‘spiky’ Spidey logo, for me it seemed at odds with the character’s personality (edgy, dangerous etc). Now in hindsight, with time and a design degree behind me, I can appreciate the fresh difference it brought to the line (as by that stage the ‘classic’ logo was getting stale). 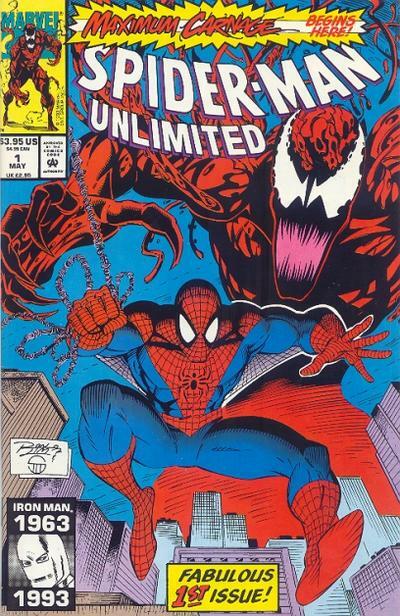 It was quite a departure from the previous Spidey logos, but certainly brings a different energy to the covers, which I’m sure speaks to it’s longevity, as I still see it pop up from time to time. 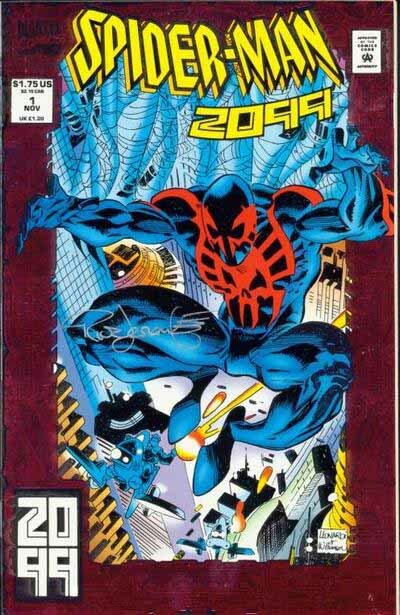 I’m delighted to find that you were the designer of the Spider-Man logo I grew up with! My first exposure to it was through the FOX animated series that ran from 1994 to 1998, and to my mind it is iconic of the character. I couldn’t agree more with your comment that this logo does not fit Spider-Man. It was a horrible choice for the (horrible) animated series, and I always thought this was the same one. Comparing them, however, I see (http://www.bigshinyrobot.com/reviews/wp-content/uploads/2009/08/sm94_1.jpg) that your version has some interesting changes which make it much bolder and stronger than the ani series version.